Vegetable farmers divide their home-grown goodness through a Community Support Agriculture program, commonly known as CSA. As a flower farmer, I would love to offer you this service. You may choose a season (Spring, Summer or Fall), or the duration of all three, which runs from mid-April through September (with a two week break in August). You will pick up a bi-weekly $20 bouquet for a total of 4 in a 2-month season. I do ask for payment ($100) in advance, which help support the seeds/plugs purchases needed for succession planting every two-three weeks. You may adjust the week of pick-up if needed, or gift it to a friend or neighbor. 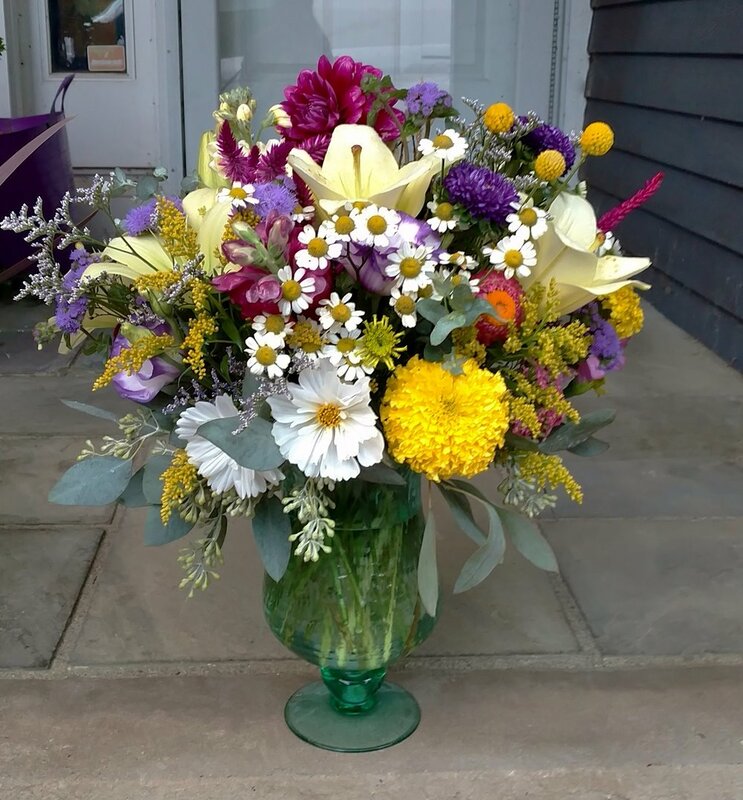 Bouquet share is a great way to enjoy what's blooming during the season. Past customers were thrilled to have their bouquets last up to 10 days! That is the magic of fresh picked flowers. So go on...treat yourself!